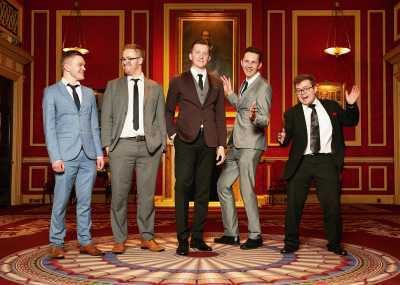 There's only one place to go for jazz band wedding hire, and that's straight to us at Entertainment Nation! 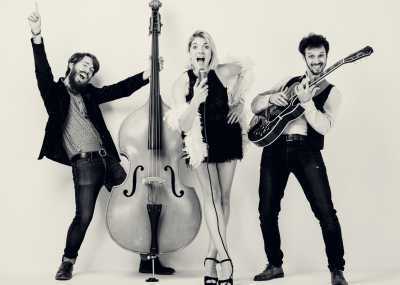 Immersing, spontaneous and defying expectations, our live jazz bands for weddings give your big day a totally unique flavour that nobody will forget in a hurry! 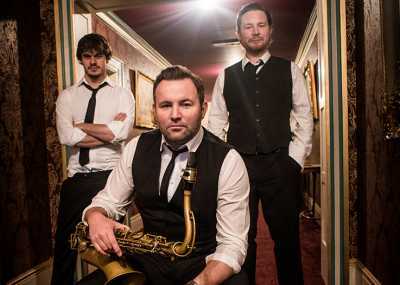 We work with professional, reliable, and most importantly, astonishingly talented wedding jazz bands for hire, so when you book any of our bands for your function, whether it's to hear some sumptuous background arrangements or jazzy covers of your favourite pop songs, you know you're getting a jazz experience worthy of the most exclusive clubs and venues around the world! 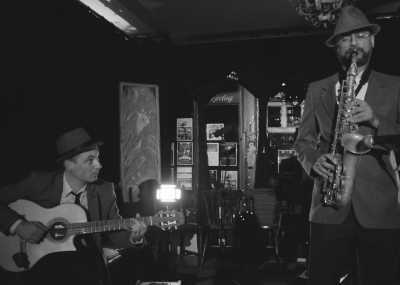 Jazz lovers will know - there's nothing quite like watching the chemistry take place between talented jazz musicians as they meander through their sets, improvising and working to make the music sound incredible. Our jazz bands are exceptionally trained musicians, hand-picked by our industry experts, with the knowledge and skills necessary to put together live jazz performances that truly shine. Dive into our irresistible roster right now! 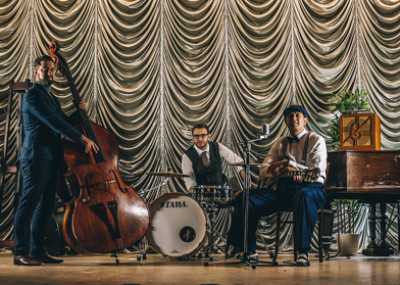 You're sure to fall in love with more than one of our wedding jazz bands, so make sure you get in touch with our team if you have any questions or need recommendations - we're here every day from 10am to 10pm (even on bank holidays) to help you find your dream band. Otherwise take your time exploring their profiles, where you can watch and listen to them play! When you've settled on your favourite, complete the enquiry form at the bottom of their profile, and we'll be in touch! 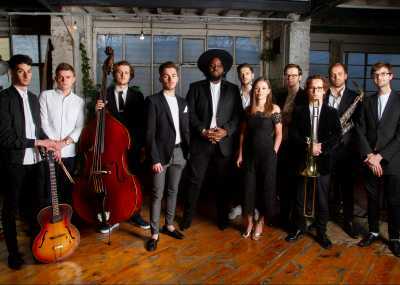 Why should I Hire a Jazz Band for My Wedding? If you're a music or a jazz lover especially, you'll know that jazz is something that should be experienced organically, for every performance is unique! When the talented, hand-picked bands on our roster play live together, you'll never want to hear jazz any other way. 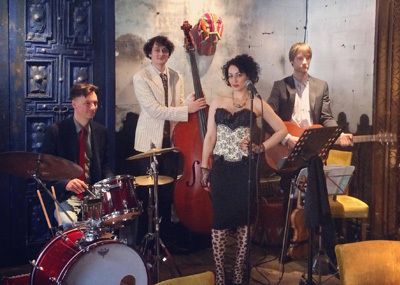 Playing smooth jazz, crafting tasteful background arrangements, and covering recognisable songs with a whole new and exciting twist in vintage and speakeasy styles, jazz bands are a great way for everybody to loosen up and enjoy the day with some unobtrusive live music or rousing retro sounds. The band also make an eye-catching centrepiece to your celebrations, and add a touch of glamour you won't find elsewhere! 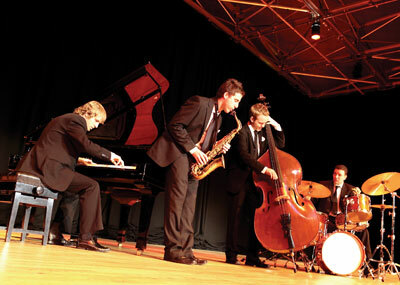 How Much Will a Live Jazz Band for Hire Cost? Jazz band sizes vary dramatically and the price of your band will depend on how many members you hire, how far they have to travel, and how in-demand they are! The cheapest duos can cost between £200-£500, while trios generally range from £500-£1000, while much larger bands can cost several thousand for the biggest line ups. We'll work with any budget to find an act that meets your requirements. 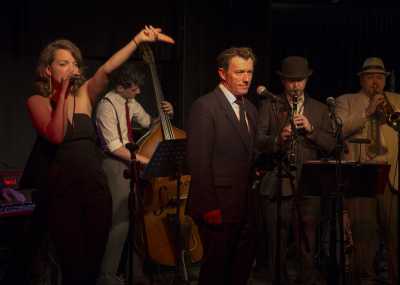 Our huge range of jazz bands means you've got plenty of choice, and you can browse confidently knowing that whoever you book will deliver a top performance - our industry experts have made sure all our bands, large and small, are professionals bursting with talent and experience! 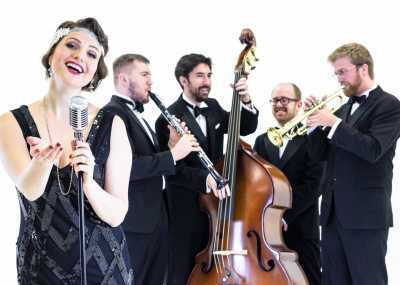 What Will a Wedding Jazz Band Provide? 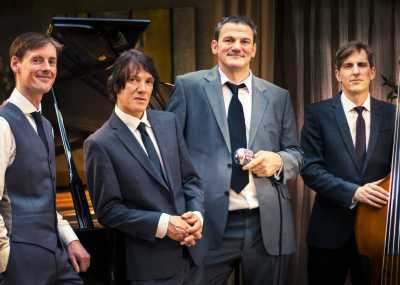 Since there's so much variety when it comes to wedding jazz bands hire, the best way to find out what your band provides is to check on their profile. 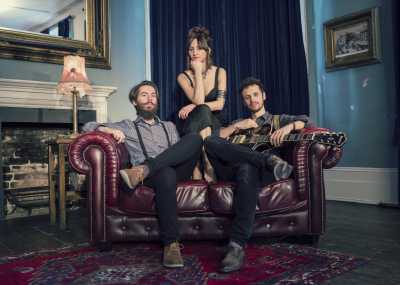 Most bands are self-contained, playing acoustically or providing their own PA if necessary and often supplying ambient or stage lighting to set the right tone. Many bands provide recorded music to play between their sets to keep the mood high when they're taking a breather, and most will consult with you on their set list (to see whether you want laid back lounge vibes or an up-tempo evening show) and learn a special request (your first dance, for example)! A brief enquiry form is all that separates you from your dream jazz wedding band. Once we've received the details you send us, we'll be in touch with a comprehensive quote. If you're happy, all that's left is to confirm the booking! Our secure online payment systems, comprehensive contracts, and expert team combine to give you total confidence in your booking - so you can relax knowing your big day's entertainment is in safe hands!